In the teacher world, printer ink has the same value as bars of pure gold. During the summer, I used to take the ink cartridges out of my printer (if I was fortunate enough to have any left!) and lock it up because the “magic ink fairies” would steal it during summer school. Ink is a hot commodity in schools! I was always thinking about how much ink I currently had in my printer and if it was enough to get me through the next week. If not, then I had to bribe beg the school secretary to give me more from Fort Knox the supply closet. Unfortunately, much like Mother Hubbard’s Cupboard, our supply closet was usually bereft of ink … because #teachers and #alltheink. I’m so excited that I have finally found an affordable solution to my ink problem with my new HP Envy 4520 Wireless Printer! This might just be the best kept secret in the teaching world! 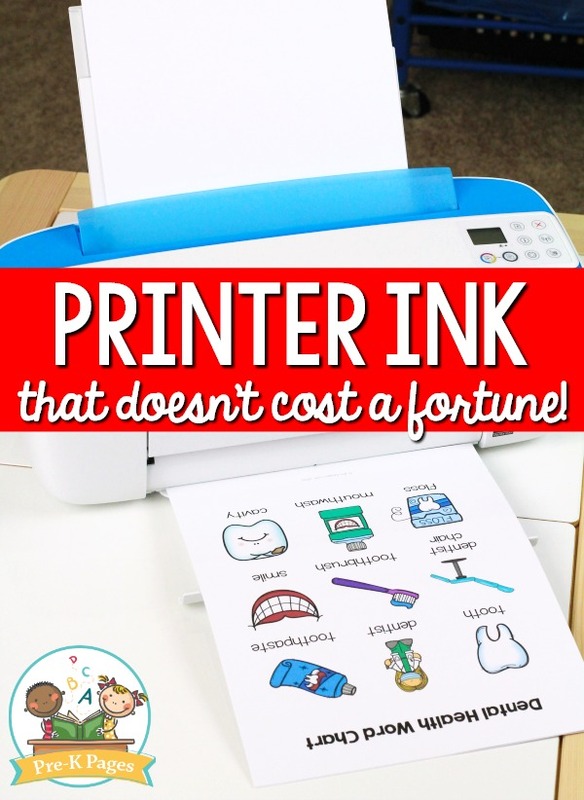 Or maybe I’m just the last to know… either way, my new printer is amazing – and better yet, it saves me TONS of money on ink! High quality color and black and white copies that look amazing! Instant Ink ready so you’ll never run out of ink! HP Instant Ink is an affordable ink subscription service that wirelessly tracks how much ink you use and automatically sends you new ink when you need it. I get 300 copies a month in color or black and white for $9.99 with my Instant Ink subscription plan, but there are also more inexpensive packages available if you print fewer pages. What happens if you go over your allotted number of copies per month? If you have printed all of the pages in your plan, and you have used all of your rollover pages, you can still print additional pages in sets of 15, 20 and 25 pages, depending on your plan, for only a $1. Do I have to pay for shipping the ink? No. Shipping and handling is paid for by HP. How do I find an Instant Ink eligible printer? GO HERE to see all the eligible HP printers. What happens if I don’t use all the pages in my plan? Your unused pages will be kept in your account as rollover pages. These pages are available as long as you are enrolled in the HP Instant Ink program. You can roll over up to the number of pages in your monthly plan (for example, you can roll over up to 300 pages if you are enrolled in a 300 page plan). How do I sign-up for the Instant Ink Program? If you have an Instant Ink eligible printer GO HERE to purchase the plan of your choice. 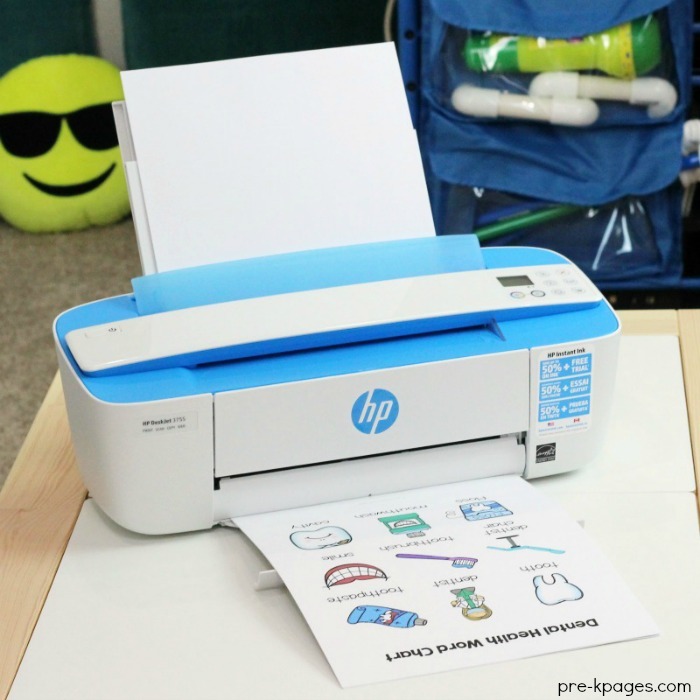 You can find answers to all of your HP Instant Ink questions on the FAQ page HERE. How do I sign-up for Instant Ink? 1. First, check to be sure you have a printer that is compatible with the Instant Ink program, Click HERE to see if your current printer is on the list, or to get a new printer. After you find a printer, be sure to come back here to grab the link to sign-up for the Instant Ink program below. 2. Once you have determined if your current printer is Instant Ink eligible, or you’ve purchased a new HP printer with an Instant Ink bundle, the next step is to set up your HP account online. If you ordered a new printer, you will have to wait for it to arrive to get the registration code. Once you’re on the sign-up page for Instant Ink, they will ask you to pick a monthly plan based on the number of pages you plan on printing each month. Once you’ve selected your plan and entered your information, you’re ready to start printing! 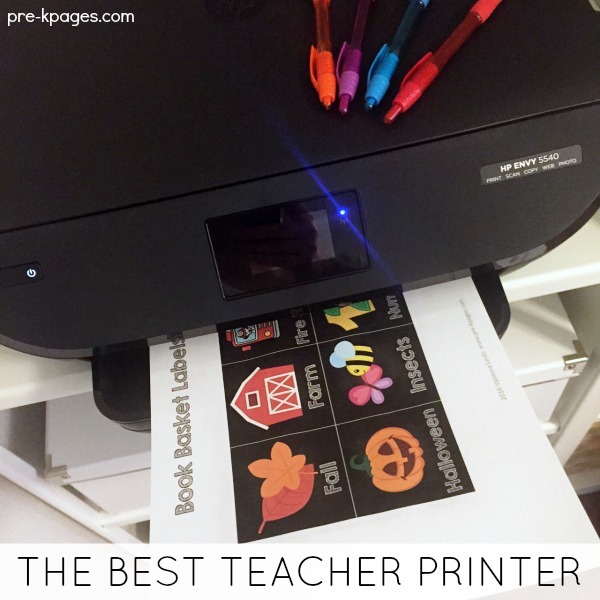 Printing things is great, but it won’t make you a better teacher. The best place to discuss teaching best practices and get the support you need is in the Teaching Tribe. We have many printable lessons and on-demand video trainings designed to help you be the best teacher you can be! If you want to get on the waiting list for the Teaching Tribe, do it soon so you don’t miss the next open enrollment period! Follow my Free Printables board on Pinterest for more great ideas! I just got an HP Instant Ink compatible printer. I am still on the regular cartridges that came with the printer but, I am so excited that I so not have to think twice about what I print. I think this is going to be the best money I ever spent. I think I learned about it here. If so, thank you!!! Can you print on cardstock in this model? If so, I am all in! Absolutely! It most definitely prints on cardstock 🙂 I wouldn’t have purchased it if it didn’t. Oh my! I can’t imagine a printer that doesn’t print on cardstock 🙁 Definitely email or chat with HP customer support to see what they can do to help. I tested mine with cardstock and it works just fine. I have had my HP5530 for a year with instant ink for the last year. I very rarely run out of ink but when I do the refills are already here! 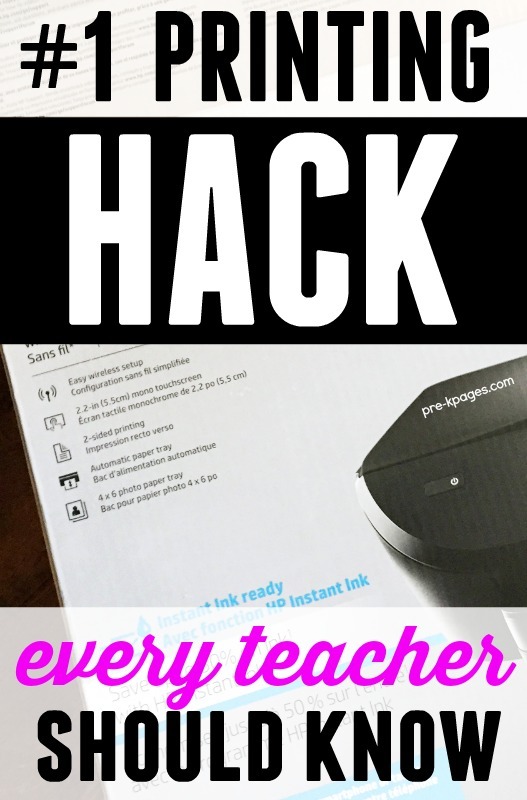 Great idea for teachers! Awesome! I’m so glad to hear that it has been helpful to you! I subscribed to Instant Ink last summer with my new HP printer. I love it! I happily print in color!